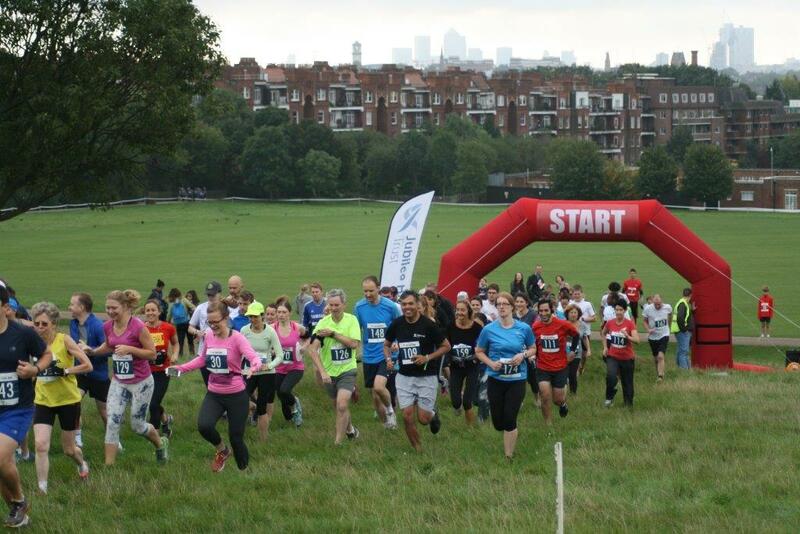 On Saturday 19 September, almost 200 people took part in the inaugural Jubilee Hall Trust outdoor run events on Hampstead Heath. The main 10k Trail Run wound its way across the hills (oh the hills!) and dales of the park, on a beautiful sunny day and featured runners of all abilities including our own Chairman, Steve Cabrera, who completed his first 10k in over 10 years! The event was envisioned as a way to encourage and inspire new and beginner runners by providing a challenging goal as well as accessible support and training to help them reach it, with registered runners being invited to participate in free coaching sessions at The Armoury gym in Hampstead in the ten weeks leading up to race day. Efforts were also made to encourage the least active residents in Camden to participate, a group that made up 10% of the total runners on the day, with a further 10% being new runners. For them, just completing this tough and challenging 10k trail run was a superb achievement! The race also attracted seasoned runners, with the top finisher, Sion Perry, completing the course in just 39:22! We were pleased to welcome members of Parkrun, Highgate Harriers, London Heathside and Serpentine Running Club. Alongside the main event, we had 30 runners of all ages who completed the 2k Family Flash Dash. Almost two-thirds of these were completely new to running, so it was a fantastic accomplishment for all of them! The day wouldn’t have been possible without the hard work of our event managers A-Z and our Community Programmes Manager, Malorie Schecter. Special thanks to our staff volunteers who helped out on the day – Chas Verma, Ahmed Mohamud, Stuart Flude and Lenny Stephens, as well as Armoury Fitness Instructor, Umar Ibrahim, who not only trained some our runners beforehand, but also ran the warm-up and then ran the race! Congratulations again to everyone who participated, and we look forward to seeing you all back again next year!